Tan Sri Datuk Adzmi bin Abdul Wahab, a Malaysian, male, aged 75, was appointed to the Board on 2 May 2006 as Independent Non-Executive Director, Chairman. Tan Sri Datuk Adzmi, is the Chairman and Director of a number of companies involved in broadband, property development, construction, manufacturing and trading. 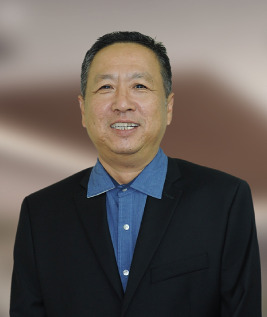 He is also Advisor to Yasmin Holding Sdn Bhd and Malaysian Franchise Association. Tan Sri Datuk Adzmi was appointed as the longest serving Managing Director of Edaran Otomobil Nasional Berhad ("EON") in November 1992 until May 2005. During his tenure, EON successfully diversified into a conglomerate with interests in automotive, banking, financial services, insurance, investments, properties and general trading. 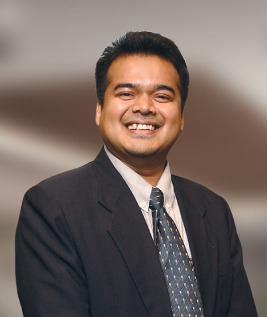 In 2003, he was conferred the Malaysian CEO of the Year by AMEX and Business Times. Tan Sri Datuk Adzmi holds a Bachelor of Arts (Honours) degree in Economics and a Post Graduate Diploma in Public Administration from the University of Malaya and Master of Business Administration from University of Southern California, USA. Tan Sri Datuk Adzmi served the Malaysian Administrative and Diplomatic Service in various capacities from 1967 to 1982 in the areas of Central Procurement and Contract Management in the Ministry of Finance; Investment Promotion in the Pahang Tenggara Development Authority, Public Enterprise Management in the Implementation Coordination Unit (Prime Minister's Department) and Regional Planning in the Klang Valley Planning Secretariat (Prime Minister's Department). He was Manager, Corporate Planning Division from 1982 to 1985 at HICOM Berhad which is involved in the development of heavy industry projects. He served PROTON from 1985 to 1992 with his last position as Director/Corporate General Manager, Administration and Finance Division. Tan Sri Datuk Adzmi also sits on the Boards of Lebtech Berhad, LKL International Berhad, Dataprep Berhad and Grand Flo Berhad. Tan Sri Datuk Adzmi is a member of Audit Committee and Nomination Committee. He also chairs the Remuneration Committee. Tan Sri Datuk Adzmi has no family relationship with any of the directors and/or major shareholders of the Company nor has any shareholding in the Company. Tan Sri Datuk Adzmi does not have any conflict of interest with the Company and has had no conviction for any offences within the past 5 years. Tan Sri Datuk Adzmi attended all Board Meeting held during the financial year ended 31 December 2017. Datuk Seri Rahadian Mahmud bin Mohammad Khalil, a Malaysian, male, aged 44, was appointed to the Board on 16 July 2007 as Independent Non-Executive Director. On 12 May 2011, he was made Executive Director and promoted to Group Managing Director on 14 April 2014. He was involved in the reforestation business as well as the construction and manufacturing sectors and is the Chairman of Permaju Industries Berhad. He also sits on the Boards of Sanbumi Holdings Berhad and KYM Holdings Berhad. 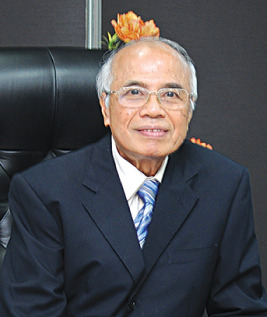 Datuk Seri Rahadian Mahmud is a member of the ESOS and Tender Committees. He is the Chairman of the Executive Committee ("EXCO"). He has no family relationship with any of the directors and/or major shareholders of the Company. Datuk Seri Rahadian Mahmud does not have any conflict of interest with the Company and has had no conviction for any offences within the past 5 years. Datuk Seri Rahadian Mahmud attended four (4) out of five (5) Board Meeting held during the financial year ended 31 December 2017. Ho Wen Yan, a Malaysian, male, aged 43, was appointed to the Board of Magna Prima Berhad on 13 February 2017. He received his architectural training in the United Kingdom at the University of Bath and the Architectural Association. He also holds a Masters of Science (Construction Economics and Management) Degree from University College London. He joined Hua Yang on 20 October 2003 as a Project Coordinator at its Johor Branch. He has been an Executive Director of the Group since 1 June 2007 and was appointed Chief Executive Officer on 20 August 2010. Ho Wen Yan is a member of the ESOS, Tender and EXCO. 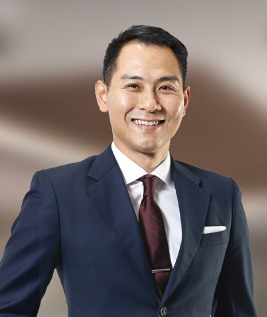 He is an immediate family member to Chew Po Sim, Ho Min Yi, Ho Wen Fan and Ho Wen Han who are major shareholders of the listed company through Prisma Pelangi Sdn Bhd. Ho Wen Yan does not have any conflict of interest with the Company and has had no conviction for any offences within the past 5 years. Ho Wen Yan attended four (4) out of five (5) Board Meeting held during the financial year ended 31 December 2017. 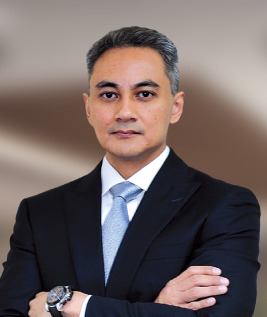 Sazali bin Saad, a Malaysian, male, aged 45, joined the Board on 2 May 2006 as Independent Non-Executive Director. He is a lecturer in the College of Business, Universiti Utara Malaysia ("UUM") and has been with UUM since 2003. Sazali holds a Bachelor of Accountancy (Hons) degree from UUM and a Masters in Electronic Commerce from Deakin University, Melbourne. He has also been a member of the Malaysian Institute of Accountant (MIA) since September 2000. During his years in Australia, he honed his talents and expertise in both the accounting and commercial aspects of managing businesses - a world to which he is not a total stranger because from 1996 -1999, he held the position of Finance Executive, before being promoted to Finance Manager where he was in charge of three companies, i.e., Sistem Era Edar Sdn Bhd, Perkhidmatan Perubatan Homeopati dan Biokimia Sdn Bhd and Homeofarma Sdn Bhd, Jitra, Kedah. Sazali's exposure to both the academic and the commercial world is an advantage, which he generously shares wherever he serves. 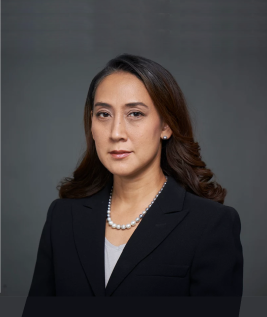 Sazali is a member of the Audit, Remuneration and Nomination Committees. He has no family relationship with any of the directors and/or major shareholders of the Company nor has any shareholding in the Company. Sazali does not have any conflict of interest with the Company and has had no conviction for any offences within the past 5 years. Sazali attended all Board Meeting held during the financial year ended 31 December 2017. Mr Low Yew Shen, a Singaporean, male aged 44, was appointed to the Board on 21 February 2018 as an Independent Non-Executive Director. 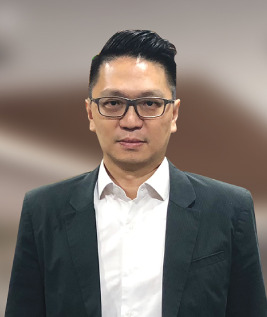 Mr Low is also a Non-Executive Director of Regal International Group Ltd, a company with dual-listing on the Mainboard of Singapore Exchange - Securities Trading Limited and as Taiwan Depository Receipts on Taiwan Stock Exchange and involved in property development, mainly in East Malaysia. Mr Low was admitted to the Singapore Bar in the year 2000 and is currently a partner in Elitaire Law LLP. He holds a Bachelor Degree of Laws (Honours) from the National University of Singapore. He is a member of the Audit, Remuneration, Nomination and Tender Committees. Mr Low Yew Shen has no family relationship with any of the directors and / or major shareholders of the Company nor has any shareholding in the Company. He does not have any conflict of interest with the Company and has had no conviction for any offences within the past 5 years. Chang Chee Kok , a Malaysian, male, aged 52, was appointed to the Board on 3 March 2016 as a Non-Independent and Non-Executive Director. He is a Civil Engineer by profession and graduated from University Malaya in 1990. He holds directorships in two private companies involved in building and civil construction works. Prior to these venture, he was employed by Mudajaya Corporation Bhd as a Project Manager. Chang Chee Kok has no family relationship with any of the directors and/or major shareholders of the Company nor has any shareholding in the Company. Chang Chee Kok does not have any conflict of interest with the Company and has had no conviction for any offences within the past 5 years. Chang Chee Kok attended all Board Meeting held during the financial year ended 31 December 2017.